Since tstv has fully started distribution nationwide, they have also launched their mobile app which will help you in so many ways which we are going to discus below. 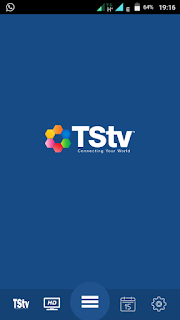 The Tstv Mobile App comprises of the Menu, TV guide, settings and channel packs which it offers it's subscribers. TV Guide: The TV guide has yet to display any information but as soon as it displays I will update my status. 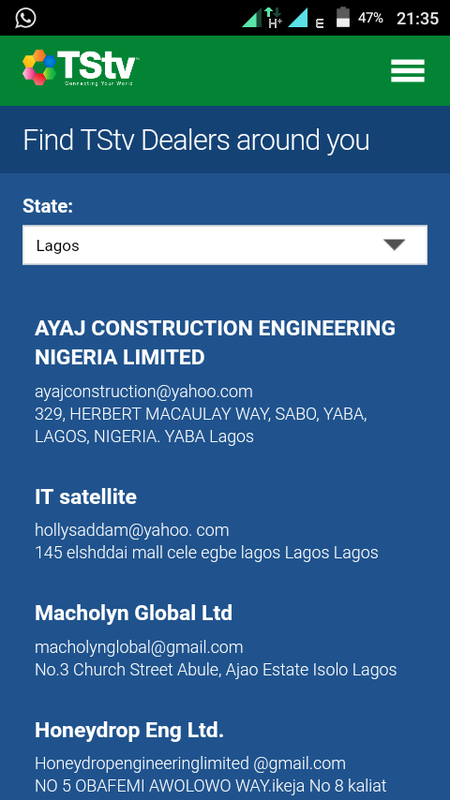 Settings: The settings displays your login and sign up page, where you can use your mobile number and password to either login or Register on the Tstv app. So when you have gotten your tstv decoder and it's fully operational, you can just sign up with there app to follow their programs. 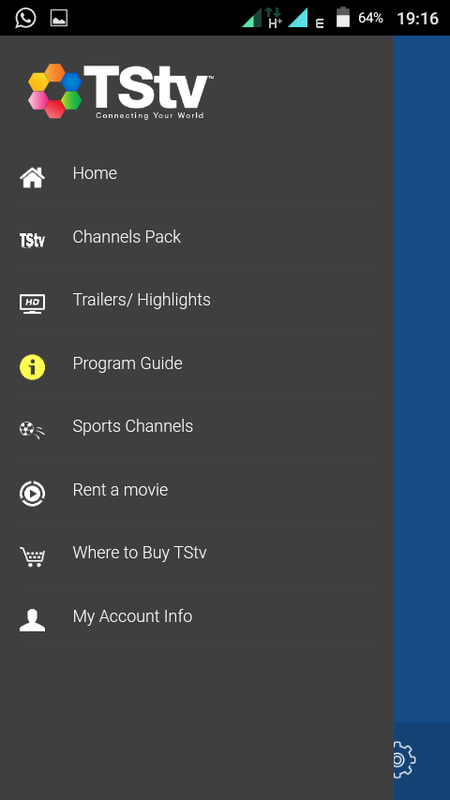 Menu bar: This displays the home tag, channel packs, trailers and highlights, program guide, sports channel, rent a movie, where to buy TSTV, and my account informations. Channel packs: This has all the channel packages that tstv is going to offers it's subscribers. Where to buy TSTV decoder: This is Infact the best feature on the app. Do you know why? No. Let me tell you. It has all the location and distributors numbers and even their addresses. 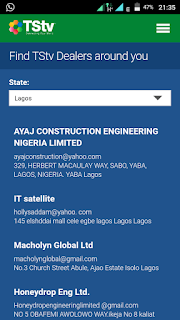 All you need to do now is check the location and all the dealers, location, company names will come out and there contact number too. As seen in the picture above, i checked Lagos state and it display were you can buy the TSTV decoder. Follow our blog for more updates from TSTV decoder features and sales and distribution details.